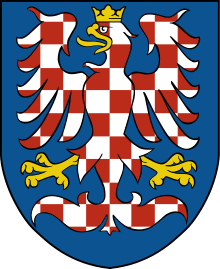 Czech Silesia (Czech: České Slezsko; Silesian: Czeski Ślůnsk; German: Tschechisch-Schlesien; Polish: Śląsk Czeski) is the name given to the part of the historical region of Silesia presently located in the Czech Republic. While not today an administrative entity in itself, Czech Silesia is, together with Bohemia and Moravia, one of the three historical Czech lands. In this context, it is often mentioned as "Silesia" even though it is only around one tenth of the area of the historic land of Silesia. It lies in the north-east of the Czech Republic, predominantly in the Moravian-Silesian Region, with a section in the northern Olomouc Region. It is almost identical in extent with the Duchy of Upper and Lower Silesia, also known as Austrian Silesia before 1918; between 1938 and 1945, part of the area was also alluded to as Sudeten Silesia: a reference to the Sudetenland. Czech Silesia borders Moravia in the south, Poland (Polish Silesia) in the north (in the northwest the County of Kladsko, until 1742/48 an integral part of Bohemia) and Slovakia in the southeast. With the city of Ostrava roughly in its geographic center, the area comprises much of the modern region of Moravian-Silesia (save for its southern edges) and, in its far west, a small part of the Olomouc Region around the city of Jeseník. After Ostrava, the most important cities are Opava and Český Těšín. Historically Český Těšín is the western part of the city of Cieszyn which nowadays lies in Poland. Situated in the Sudetes, it is cornered by the Carpathians in the east. Its major rivers are the Oder (Polish, Czech: Odra), Opava and Olše (Polish: Olza) (which forms part of the natural border with Poland). The first Germanic settlements were built in the second century. Later the Germanic tribes moved west and Slavs came into the country. 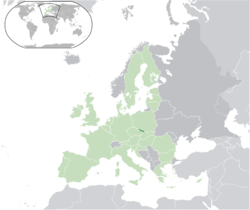 Modern-day Czech Silesia derives primarily from a small part of Silesia that remained within the Bohemian Crown and the Habsburg Monarchy at the end of the First Silesian War in 1742, when the rest of Silesia was ceded to Prussia. 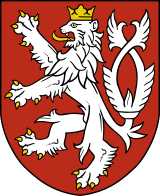 It was re-organised as the Duchy of Upper and Lower Silesia, with its capital at Opava (German: Troppau, Polish: Opawa). 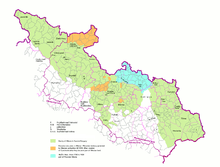 In 1900, the Duchy occupied an area of 5,140 km² and had a population of 670,000. In 1918, the former Duchy formed part of the newly created state of Czechoslovakia, except the Cieszyn Silesia, which was split between Czechoslovakia and Poland in 1920, Czechoslovakia gaining its western portion. Hlučín Region (Czech: Hlučínsko, German: Hultschiner Ländchen), formerly part of Prussian Silesia, also became part of Czechoslovakia under the Treaty of Versailles in 1920. Following the Munich Agreement of 1938, most of Czech Silesia became part of the Reichsgau Sudetenland and Poland occupied the Zaolzie area on the west bank of the Olza (the Polish gains being lost when Germany occupied Poland the following year). With the exception of the areas around Cieszyn, Ostrava and Hlučín, Czech Silesia was predominantly settled by German-speaking populations up until 1945. Following the Second World War, Czech Silesia and Hlučínsko were returned to Czechoslovakia and the ethnic Germans were expelled. The border with Poland was once again set along the Olza (although not confirmed by treaty until 1958). 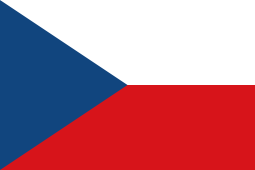 The population mainly speaks Czech with altered vowels. Some of the native Slavic population speak Lach, which is classed by Ethnologue as a dialect of Czech, although it also shows some similarities to Polish. In Cieszyn Silesia a unique dialect is also spoken, mostly by members of the Polish minority there. Jiří Třanovský (1592–1637), pastor and hymnwriter, the "Luther of the Slavs"
David Zeisberger (1721–1808), Moravian Missionary in North America and "Apostle to the Indians"
↑ "Czech". Ethnologue. 1999-02-19. Retrieved 2013-11-19.